For the uninitiated, the opening sequence of Steven Spielberg’s The Adventures of Tintin tells you everything you’ll need to know about the Belgian comic strip, created by cartoonist Hergé in 1929. In a flat, silhouette animation style reminiscent of the title sequence in Spielberg’s Catch Me if You Can, we see our young hero Tintin and sidekick terrier Snowy find a shiny orb MacGuffin. A dastardly Bad Guy steals said McGuffin, leaving Tintin, Snowy, and bungling twin cops Thompson and Thompson to pursue. There’s a whirling chase through a series of impossible obstacles, leading the hero to the Bad Guy’s hideout, where Thompson and Thompson arrest the Bad Guy and take the credit, as Tintin recovers the MacGuffin to save the day. That basic outline is followed to the letter in this motion capture animated feature from Spielberg and co-producer Peter Jackson, who have evoked the spirit of boys adventure stories with a sense of wonder and showmanship only filmmakers of their caliber could bring. Originating as a comic and spawning over thirty books, Hergé’s character Tintin is a widely popular European icon, particularly in France and England. In North America, he’s a cult figure for comic fans and Europhiles. The character himself is a bit odd when examined closely, but usually we’re so immersed in his adventures that we wouldn’t notice. At first glance, Tintin is a young journalist whose investigations lead him on a series of dashing exploits, but we never see him turning in copy or reporting to the office. Fresh faced, he’s curiously adolescent, his age never revealed within Hergé’s stories (although it’s been suggested he’s not yet out of his teens). Almost no women emerge in Hergé’s tales, save for hefty soprano opera singer Bianca Castafiore, who makes an appearance in several books. Tintin has seemingly no love interests, no parents, and lives alone in an apartment. With the exception of women, the character and his adventures are not unlike Indiana Jones; no wonder Spielberg was attracted to the material. The film borrows plot elements from several Hergé books, most prominently The Secret of the Unicorn and Red Rackham’s Treasure, but also The Crab with the Golden Claws and others. 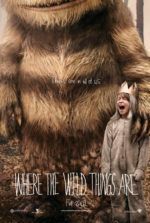 Steven Moffat (Doctor Who) wrote the first draft of the screenplay, and after Edgar Wright (Scott Pilgrim vs. the World) and Joe Cornish (Attack the Block) completed a rewrite. Together, the three scribes capture Hergé’s characters and brightly enhance the material to meet their director’s considerable demands for imagination and adventure. 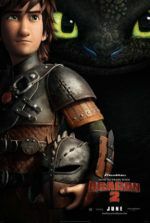 And with Jackson’s effects studio Weta Enterprises rendering the cast’s performances in highly detailed and atmospheric animation, Spielberg’s usual live-action virtuosity from his Indy-brand entertainments is one-upped by the limitlessness of animation, yet ornamented by the reality offered with motion capture technology. 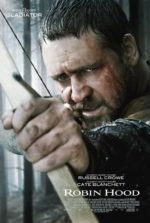 Motion capture is that maligned technique fuelling Robert Zemeckis’ projects like Beowulf and A Christmas Carol, where the movements of human actors are recorded through sensors and later transformed into animated characters. In early explorations of this technology, the results were odd-looking, their movements realistic but facial features cold and inexpressive. But earlier this year, Rango proved that mo-cap tech could be used to augment cartoonish characters; combining realistic actions with vividly creative characterizations, the effect was nothing short of spectacular. Spielberg uses the technology in the same way, incorporating a sense of realism into Hergé’s original cartoon designs without entering his characters into The Uncanny Valley. But instead of Disney-esque talking animals, the characters are styled as three-dimensional cartoons. Just after the title sequence, the film’s first moment of motion capture animation depicts Hergé as a street artist drawing a caricature of his Tintin. The shot goes from Hergé’s original comic strip conception of Tintin to the mo-cap rendering, in effect passing the torch in a heartfelt homage. Set in the 1930s (the same era of Indian Jones, it should be noted), the screen story has Tintin (Jamie Bell) purchasing a scale model of a 17th-century sea ship, the Unicorn, from a hapless street vendor. Unbeknownst to him, the model contains one of three clues leading to a treasure hidden by the original Unicorn’s captain. At the same time, sinister villain Sakharine (Daniel Craig) is after the three clues, and the treasure, and so he kidnaps Tintin to get the clue—a scroll hidden within Tintin’s model. To escape, Tintin teams with perpetually drunk Captain Haddock (Andy Serkis), whose ancestor captained the original Unicorn. We learn in a swashbuckling flashback that Sakharine’s ancestor sunk the legendary ship, and as the yarn unwinds on land, sea, and air, Tintin helps Haddock prevent history from repeating itself. The plot leads from one incredible feat to the next without skipping a beat; consequently, some viewers may find the tale lacking in character development, but that’s the nature of the beast. Similar arguments were made against Raiders of the Lost Ark upon its initial release, most notably from Pauline Kael. But Hergé wasn’t writing Tintin stories to delve into a complex character study, nor was Spielberg attempting to bring gravitas to an adventurer from those classic early-cinema serials. Rather, both creators were interested in globe-trotting exploits, lost treasures, and all the associated intrigue. It’s enough that Tintin is a plucky hero with a cute, impossibly smart dog—the spirit of adventure takes care of the rest. Given Spielberg’s experience with the Indiana Jones series, the director is plugged-in to this material better than anyone. Indeed, Spielberg hadn’t heard of Tintin until the releases of Raiders; only after several critics made the comparison did he seek out Hergé’s books and fall in love. Now that they’re together in a way, it’s clear Spielberg’s Indiana Jones and Tintin were cut from the same cloth. Beyond the story’s mechanics, Spielberg is having a blast with the power of animation. He employs creative transitions, like the one that pulls back from an ocean-bound Tintin and Haddock in a lifeboat to show them as specs in a small urban puddle. He creates depth by showing his characters in reflective surfaces such as glass or in a bubble. Most impressive are his chase sequences, restless tracking shots made possible only through animation. One unbroken sequence takes place in a Moroccan city, with Tintin and Haddock on a motorcycle in pursuit of Sakharine and his goons in a jeep. The sequence speeds through narrow streets and over rooftops, as Tintin desperately tries to recover the three scrolls and Snowy dashes between vehicles after Sakharine’s hawk. Through it all, Spielberg delivers one of the best, unobtrusive implementations of 3D (his first) this critic has ever seen. The gimmick, by no means essential to the experience, adds a degree of depth to the animated characters without sacrificing much of the color or detail hindered by darkening 3D glasses. Spielberg’s genius-level control and trademarked energy throughout will make the film an easy sell for animation buffs and suckers for a good adventure, not that they’re prerequisites. The great thing is, an audience doesn’t need prior Tintin experience to enjoy this film; only a taste for Spielbergian entertainment. I had very basic foreknowledge of Hergé’s character, but nevertheless found myself rapt in the proceedings; I don’t think I took more than three breaths during the entire runtime. 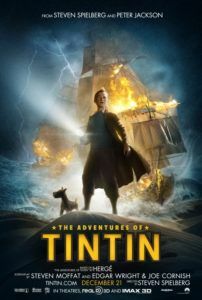 Released throughout Europe in October of 2011, The Adventures of Tintin has already found a massive audience, earning more than $240 million overseas before it ever hit U.S. theaters during the subsequent Christmas season. As a result, the Peter Jackson-directed sequel is already a sure thing, but now hotly anticipated. I loved this film—these characters are so universal, the plot so joyously simple, the film’s arrangement so exhilaratingly wound up, it seems impossible to imagine someone not being thrilled from start to finish.